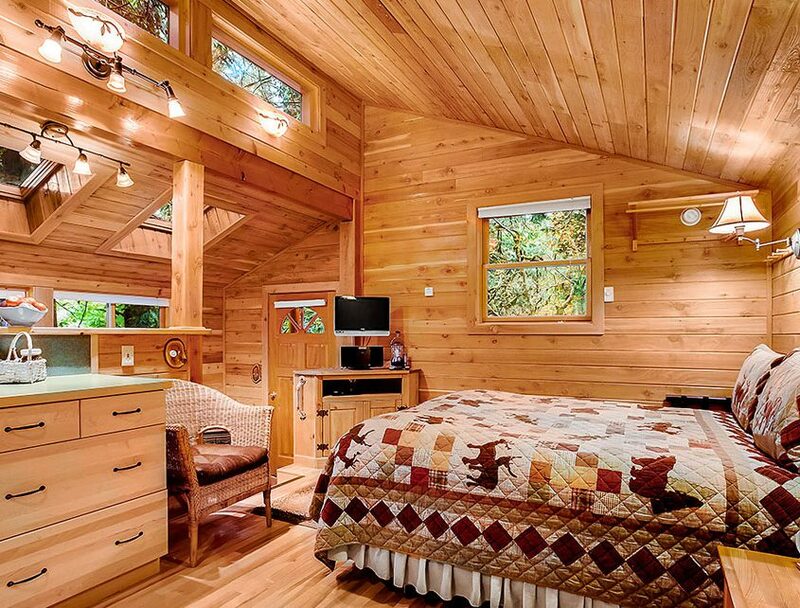 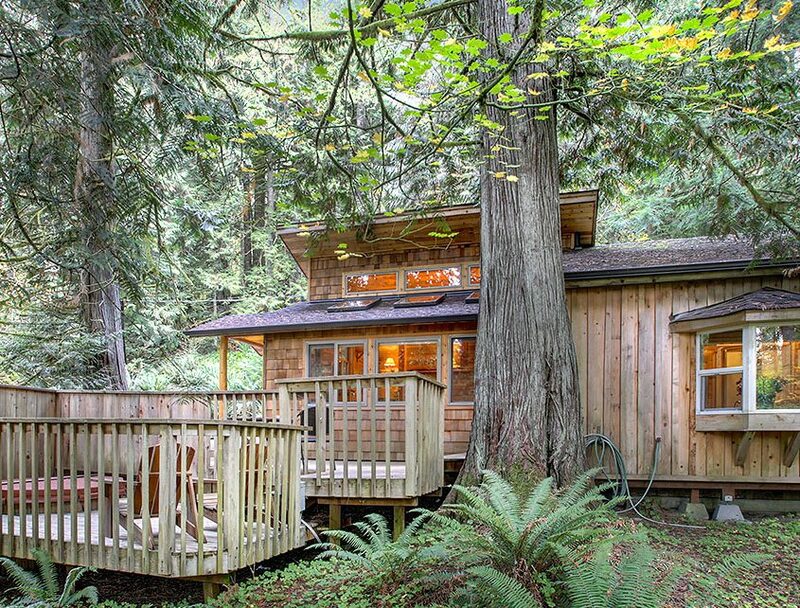 This peaceful, enchanting cabin makes the perfect romantic retreat for two. 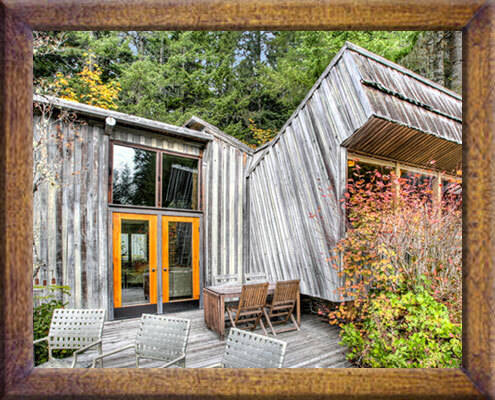 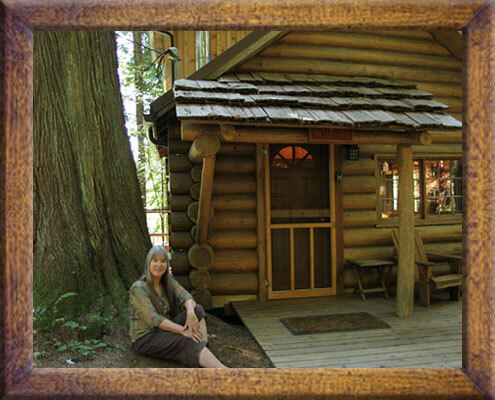 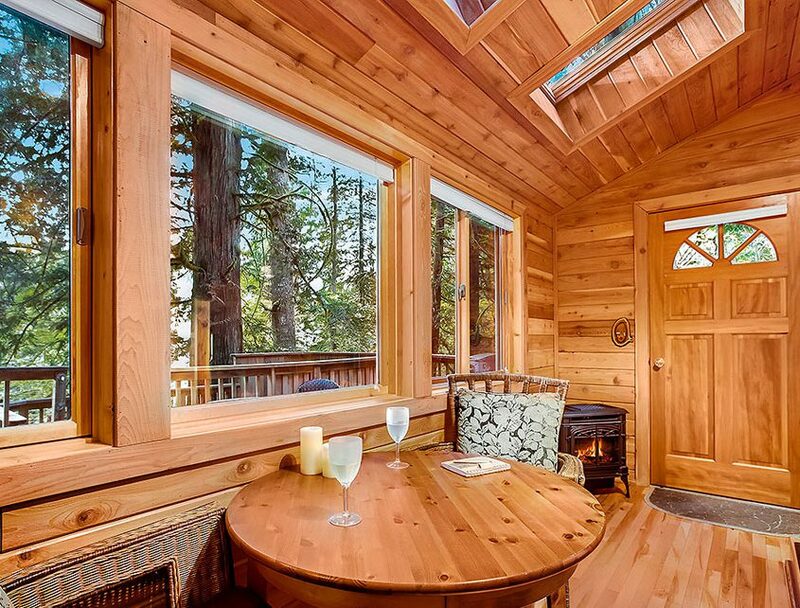 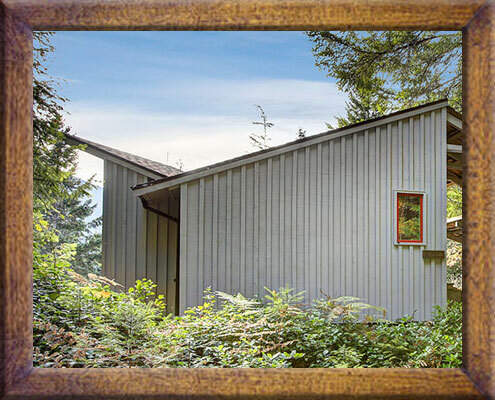 The cabin has a luxurious rustic feel with many windows to provide a direct connection to our private forest. 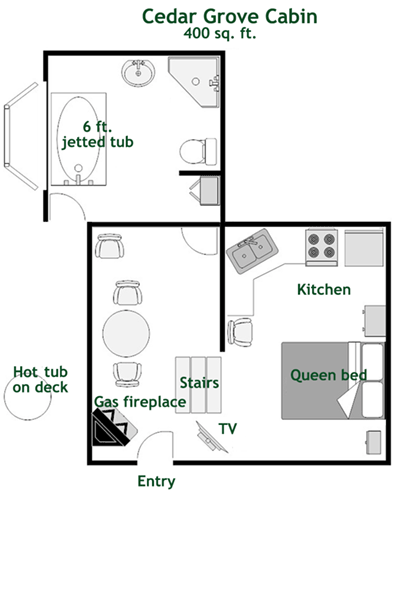 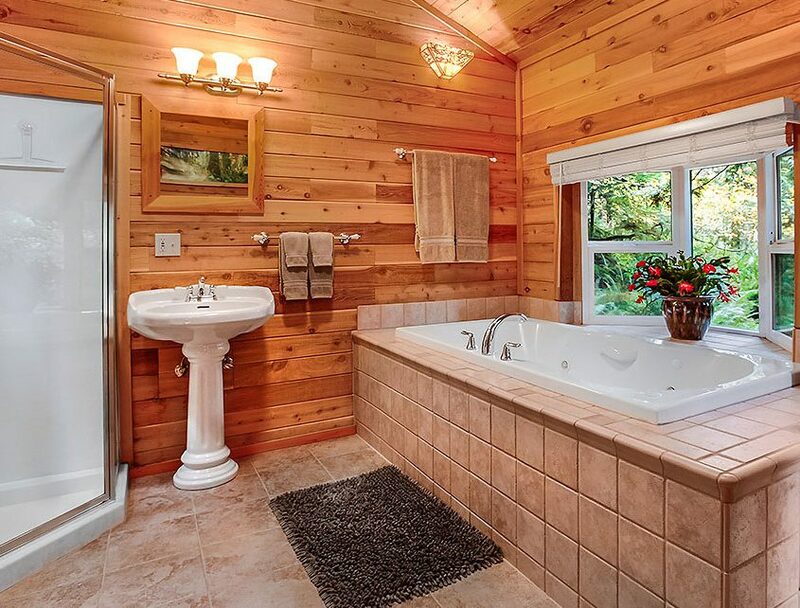 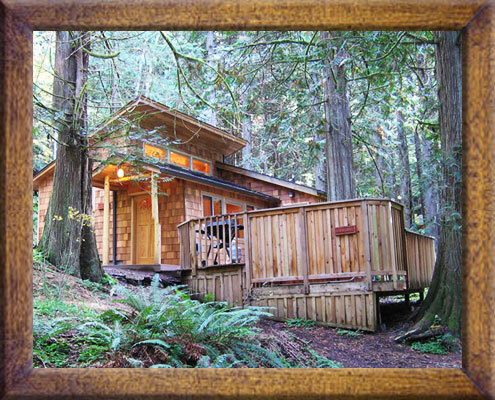 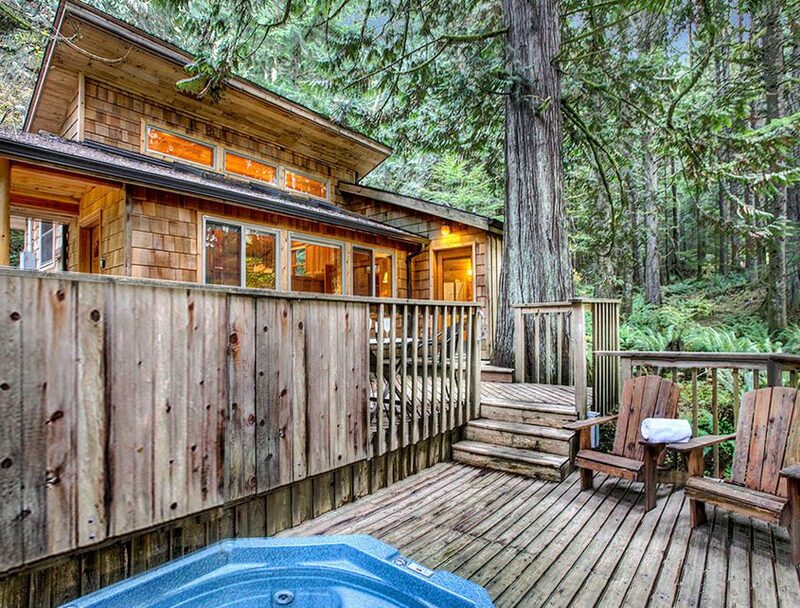 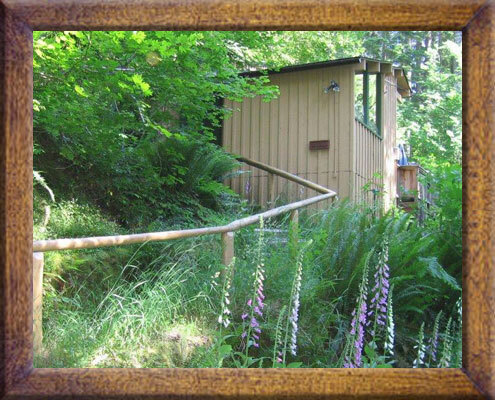 Relax in your indoor two person jetted tub or step outside to soak in your private hot tub surrounded by giant cedar trees and the gentler rhythms of nature.